A classic margarita—as it should be. No one really needs an excuse to drink a margarita—just the fact that it’s a Monday is a good enough excuse for us. But today is National Margarita Day, and we don’t want to disrespect such an important holiday. So let’s talk margaritas. If you’re used to filling blenders with bottled mix and cheap tequila, let us help you help yourselves. Good margaritas are so simple — decent tequila, fresh-squeezed lime juice, and something to sweeten — that there’s no excuse for using anything else. Start with a decent spirit; it should say “100% Blue Agave” right on the bottle. (Pueblo Viejo and Espolón are widely available and great values.) Then try one of these recipes. Mastering a great margarita is a skill that’ll last you a lifetime. Salud. The traditional margarita brings together tequila, fresh lime juice, and orange liqueur for a balanced, punchy drink that's as refreshing as they come. If you make these for a party, we promise, no one will complain. Instructions: In a cocktail shaker with ice, combine 2 ounces of tequila, 1 ounce of fresh lime juice and 1 ounce of Cointreau, Curaçao, or Grand Marnier. 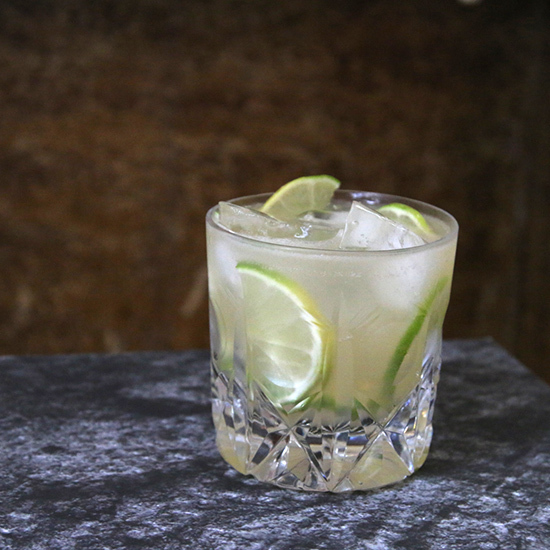 Shake that all up, strain it into a rocks glass with fresh ice and garnish with a few lime half-moons. Instructions: In a cocktail shaker with ice, combine 2 ounces of tequila, 1 ounce of fresh lime juice and 1/2 ounce of agave syrup (that’s agave nectar, dissolved in a 1-to-1 ratio in hot water). Shake that all up, strain it into a cocktail glass and garnish with a lime wheel. The margarita is a classic for a reason — a well-made margarita is a truly good drink — but sometimes, you want to get a little fancier. Here, we’re using mezcal with grapefruit juice for a drink that’s smoky, tart, and super-complex considering it only has three ingredients. Instructions: In a cocktail shaker with ice, combine 2 ounces of mezcal (Fidéncio Clasico is a favorite of ours), 1 ounce of fresh grapefruit juice, 1/2 an ounce of lime juice, and 3/4 ounce of agave syrup. Shake that all up, strain it into a cocktail glass, and garnish with a grapefruit wedge.